I have been continuing my exploration of the churches of Hertfordshire and have had a chance to look around a few in the Stevenage area. 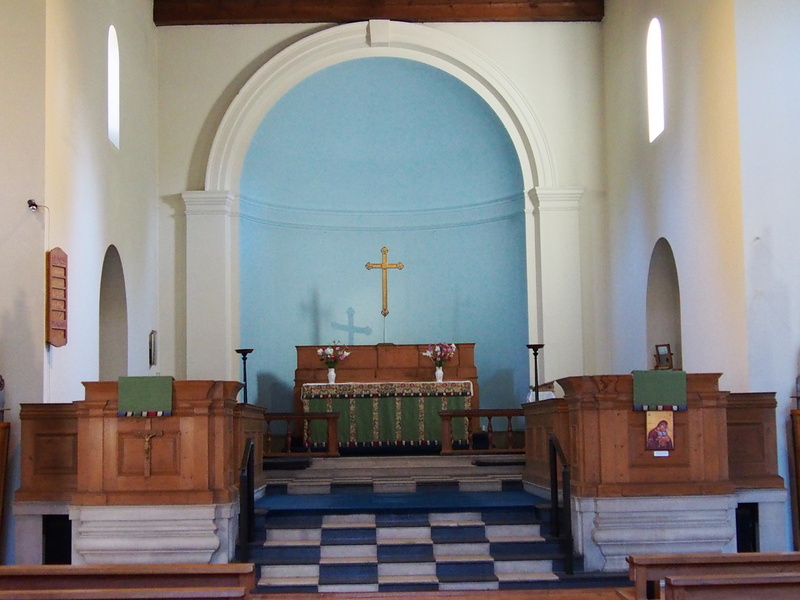 St. Martin’s was designed by the famous Sir Edwin Landser Lutyens and opened in 1915. It is a magnificent church which is open each day and is well worth a visit. The sign outside tells people that it is open. Inside, it is spacious, well loved and bright. 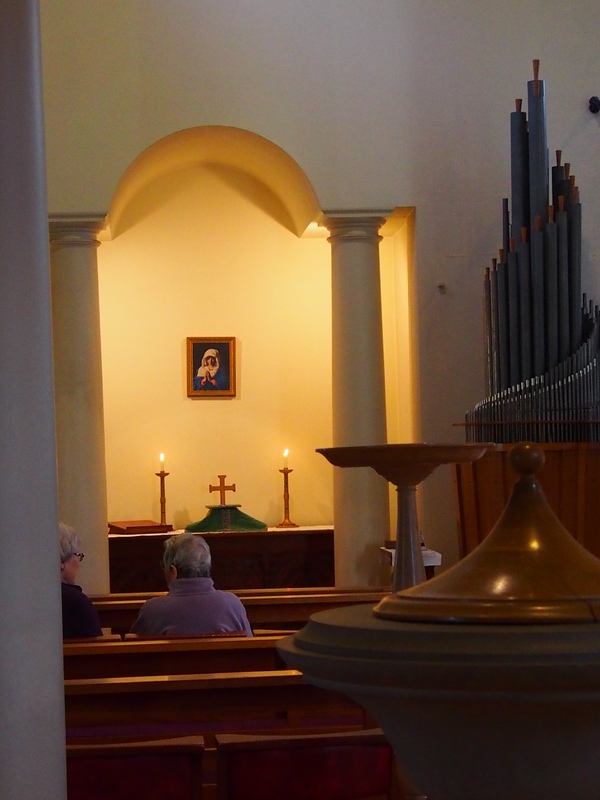 Some parishioners were waiting for a mid week service to begin and told me about the church. They obviously thought a lot of it. For visitors I found a prayer request book, a simple guide and a welcome letter from the Rector. The Diocese of St. Alban’s ‘Saints and Pilgrims’ book is displayed (and open at the right day!). There are also cards and some books for sale as well as various booklets about the Christian faith. 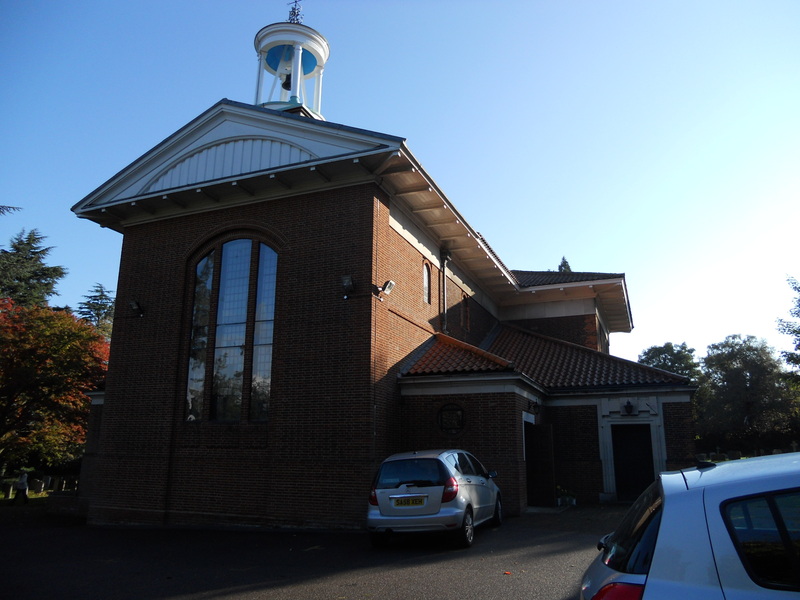 The church website is at knebworthparishchurch.co.uk and this has nice, clear, visitor information on the home page.